to repair plastic car bumpers with special adhesives and a nitrogen plastic welder. 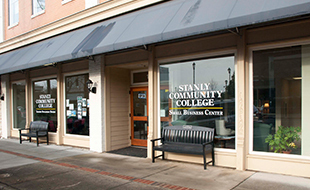 Stanly Community College (SCC) is the recipient of a $3,000 Service King Grant Award through the Collision Repair Education Foundation--Ultimate Collision Education Makeover Grant Program. 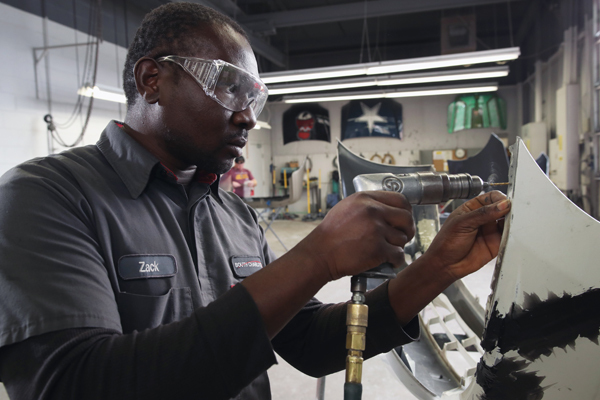 The Collision Repair and Refinishing Technology (CRRT) program at SCC prepares individuals to apply technical knowledge and skills to repair, reconstruct and refinish vehicles both before and after a collision. 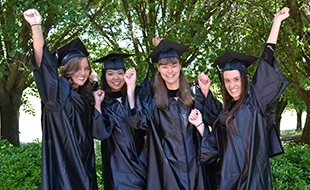 Graduates of the Collision Repair and Refinishing program at SCC are prepared to enter the workforce as entry-level technicians in the collision repair and refinishing industry; additionally they will be prepared to take industry thirdparty credentials, which correspond with program and industry standards. Students completing the CRRT program will have the opportunity to earn the following I-CAR certifications in I-CAR ProLevel 1/Non-Structural Technician and I-CAR ProLevel 1/Refinish Technician. The I-CAR Professional Development Program is an industry-recognized program for training collision repair professionals in essential role-relevant knowledge and skills. According to EMSI data (www.economicmodeling.com), a collision repair and refinishing technician will earn a median hourly income of $24.42, and 2,494 jobs will be available in the region by 2023. 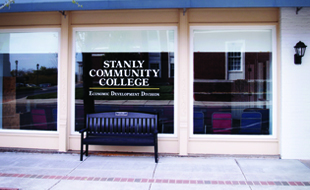 For more information about the Collision Repair and Refinishing Technology program at SCC, contact Billy Huneycutt, at 704-991-0248 or bhuneycutt8196@stanly.edu, or visit the College’s website at www.stanly.edu.